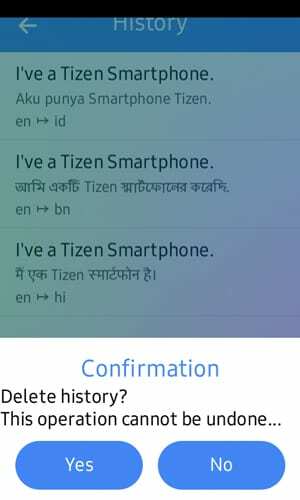 This new translator app supports over 100 languages including Bengali, English, Hindi, Panjabi, Tamil, Telugu, Marathi and all Indian languages. You also have the choice of Japanese, Chinese, Myanmar, Zulu, Indonesian, Turkish, Malayalam etc. Users also can use Detect Language mode if they aren’t able to detect the language of the primary sentence(from which sentence you translate ). 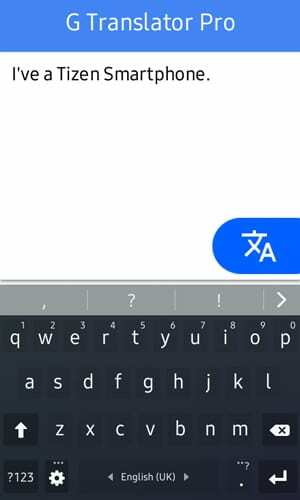 Translate your sentences anytime anywhere using a stable internet connection. The translated sentences will save in your history and you can return back and reference it anytime. 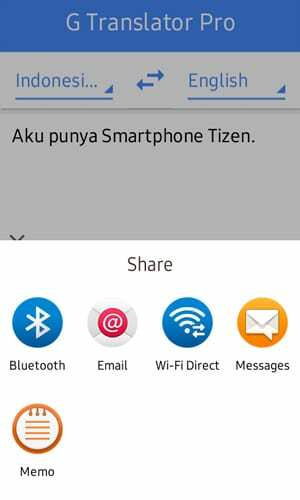 You can share the translated sentences via memo, email, facebook, Bluetooth etc. 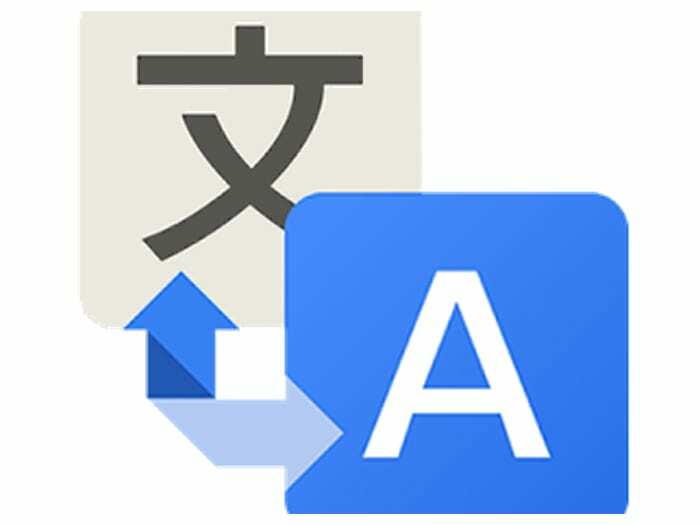 The app is ready for you to download and Install now, but it will not even launch without an Internet connection, much like other apps that use the Translate services provided by Google. 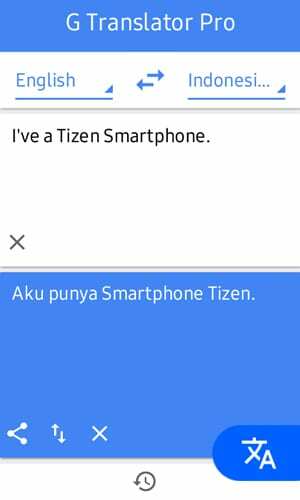 G Translator Pro is available now for all Tizen Smartphones and downloadable from the Tizen Store and is only 1.08MB. If you face any problems using this app, then please sent feedback to the app developers and also comment below in our comment section.